Born: 07 March 1958 in Hailar (Northern Manchuria), China. In the 1930’s Fr. Gabriel’s paternal grandparents migrated from Krasnoyarsk, Russia to Northern Manchuria, China. Maternal grandparents migrated from Cheta, Russia in the same period. Fr. Gabriel’s parents, Prokopi Ivanovich and Anna Ivanovna, both were born in Trexrechie, China. Fr. Gabriel was born there in China in 1958. In 1962 Makarov’s family migrated to Australia. Fr. Gabriel has two brothers Vitaly and Nikolai. He studied 3.5 ys Bachelor of Civil Engineering at NSW Institute of Technology and decided to defer Civil Engineering course to take up Theological studies in USA. In 1991 he married Irene Lugovoy and they have a family with five children and are happy grandparents of several grandchildren now. From 1980 to 1984 Fr. Gabriel completed Bachelor of Theology Degree at Holy Trinity at Seminary in Jordanville, USA and in 1983 was ordained Deacon at Jordanville by Archbishop Laurus on the feast day of All Saints, 3rd July 1983. On 11th June 1984 he was ordained into the Priesthood at Jordanville Monastery by Archbishop Laurus on the Day of the Holy Spirit. 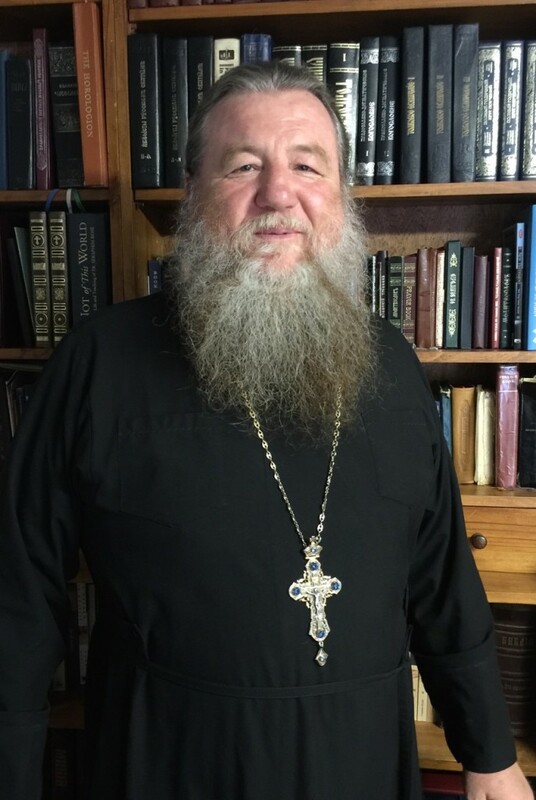 Representating the QLD Russian community in the Russian Australian Representative Council, supervising parish schools, organising numerous Diocesan pilgrimages (Holy Land (x14), Greece (2), Italy (1), Egypt (3), Jordan (1), USA/Canada (1), Russia (3)) and youth camps (8 in VIC and 7 in QLD), missions of Youth Fellowship to Russia and various conferences. Member of the Australian and NZ Diocesan Council. Names Day: 28 July; Day of the Holy Equal-to-the-Apostles Great Prince Vladimir of Kiev. Fr. Vladimir was born on 20th of February 1987 in the small military town of Neuruppin in East Germany, where his father served. After the fall of the Soviet Union, his parents moved to the USA in Chicago. From the age of five, Fr. Vladimir served in the altar. His services with Bishop Alypiy are some of his warmest memories. His parents tried whenever possible to go to the closest monastery in Jordanville, and a few times he stayed there for obedience work. He recalls loving his time at the monastery. At one point during the service, he was so struck by the solemn voice of the monastery Protodeacon that even then he felt the urge to dedicate himself to service of deaconate. It so happened that for the first few years he studied at home with his parents using Russian books. Despite the fact that up to the age of 22 years he had never been to Russia, he had always considered himself to be a Russian: at home and in the church he speaks only Russian, he grew up on Russian books and cartoons, listening to Russian music. At the age of 15, he started to carry choir conducting obediences at the church of the Vladimir Mother of God until his university studies began. Fr. Vladimir graduated from the Queensland University of Technology majoring in megatronics and robotics. Since the beginning of his study in the university, he began increasingly to go to St. Nicholas Cathedral, where his spiritual father archpriest Fr. Gabriel Makarov was the rector. It was Father Gabriel who invited Fr. Vladimir to go to the International Concord of Orthodox Youth, which changed his life. The opportunity to visit the holy places in Russia and Ukraine such as the Trinity-Sergius Lavra and caves at Kiev-Pechersk Lavra completely revived him as a Christian. 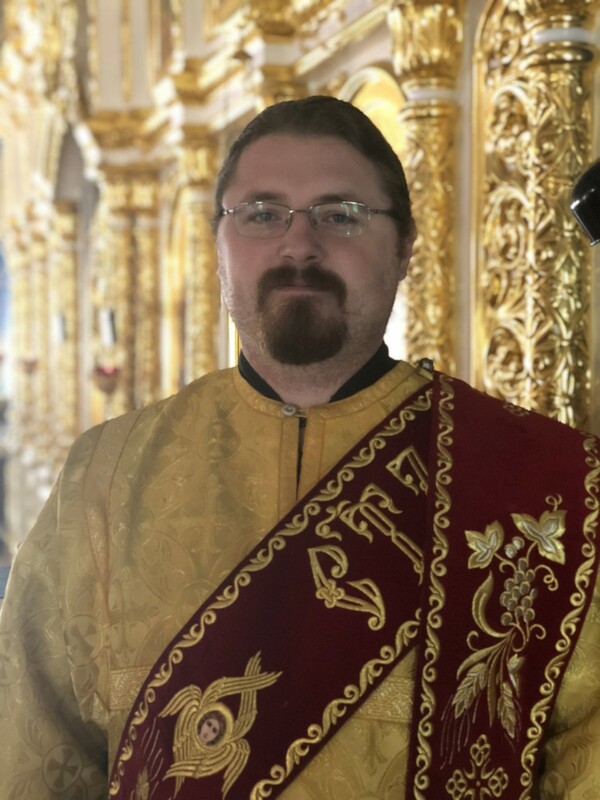 Fr Vladimir’s has a younger brother who is also a long-time alter-server at the cathedral. From this trip he came back a completely transformed man. Moreover, there he met his future wife, Anna, whom he married soon after. So far they have a son and daughter. In 2012, the First Hierarch of ROCOR Metropolitan Hilarion ordained Fr. Vladimir to the deaconate at the St. Nicholas Cathedral on the feast of the Three Hierarchs, where, with the help of God, he serves to-date. Fr. Vladimir has numerous duties in addition to his church service. He coordinates most of the Cathedral building projects and truly contributes to the transformation of the church premises in accordance with the parish’s vision. In June 2012 Fr. 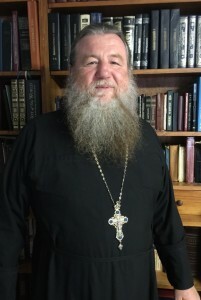 Vladimir organised the Orthodox male choir of Brisbane, which in the course of two years sang at some 20 church services and performed at a number of large concerts. By the end of 2012, Fr. Vladimir successfully coordinated the bell tower project: production, importation, installation of bells from Russia, the construction of the bell tower and the organization of bell ringing training under the direction of the Russian master of bell ringing Vladimir Petrovsky. From September 2013 until December 2014 he coordinated the project for the church iconography. From November 2013 until December 2014 he led the project of importation and installation of the new iconostasis made by the renowned Schigrovsk Brotherhood in Russia’s Kursk region. Since the beginning of 2014, Fr Vladimir has been the Cathedral’s Project Manager in the construction of the new church hall which was completed in late 2016.